리리코스 엔젤릭 테라피는 한국의 바다 이야기를 적용시킨 리리코스 최초의 아이코닉 상품입니다. 이 상품은 세계적 청정지역인 신안 갯벌의 이미지를 제품에 적용했습니다. 한국의 바다 영양분과 특성, 스토리를 보여주는 직관성을 높인 디자인입니다 . 제품에 적용된 사진은 인물 사진 작가로 특히 바다 사진을 전문적으로 촬영하는 작가로 잘 알려진 송정근 작가 의 작품입니다. 이 프로젝트를 위해 송정근 작가는 신안 갯벌 지역의 추포노도에서 촬영을 했습니다. 리리코스 엔젤릭 테라피는 사용자에게 머드팩임을 직관적으로 인지할 수 있도록 신안갯벌의 이미지뿐만 아니라 머드 고유의 색상을 제품에 적용하였습니다. 신안 갯벌에 대한 설명을 제품에 삽입하여 소비자들에게 정보전달 및 신뢰감을 주었습니다. 2차 패키지 역시 신안 갯벌의 이미지를 전체적으로 사용하여 제품의 성격을 직접적으로 노출하였고, 용기는 사용성을 위해 넓은 JAR 용기를 썼습니다. 또한 짙은 머드 색상의 컬러와 함께 리리코스의 바다의 색상을 은은하게 나타냄으로써 브랜드의 일관성을 유지했습니다. 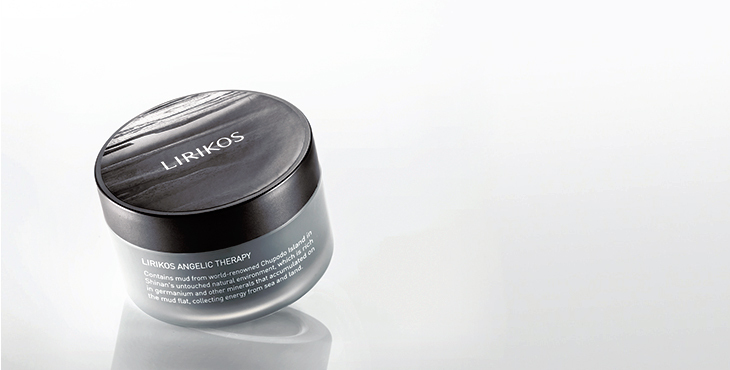 Lirikos Angelic Therapy is an iconic cosmetic product and is the first Lirikos product to apply a story of the sea of Korea. Its design is based on the image of the mudflats of Sinan, one of the cleanest areas in the world. This highly intuitive design shows the characteristics, stories and nutrients of the sea. 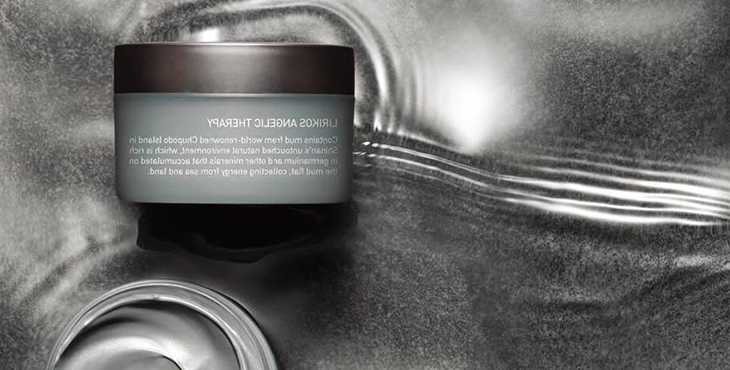 The photo used for the product design was taken by Junggeun Song, one of Korea’s most renowned photographers. 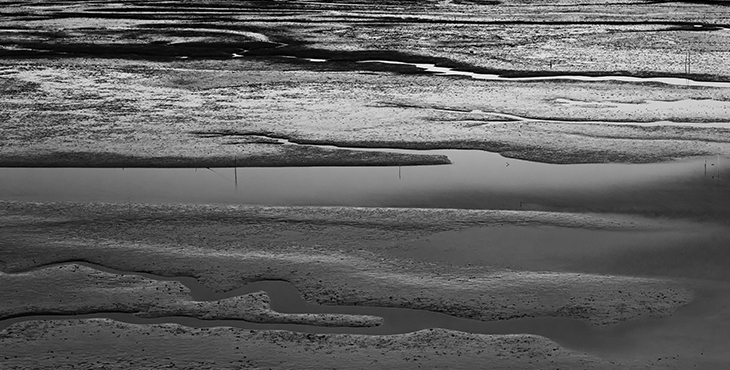 Song’s professional subject matter is usually sea and people, and he took photos of mudflats at Chuponodo in Sinan for this project. Designed to make customers intuitively recognize a mud pack, the color and image of Sinan mudflats are applied to the product’s color and design. In addition, a written explanation of Sinan mudflats is included in the product packaging, providing detailed information and credibility. The second-tier packaging also uses the image of mudflats to show the product’s unique characteristics. The container has a jar-style shape for convenient use and features the dark colors of mudflat and sea to signify consistency in the brand.